Owe no one anything, except to love one another; for the one who loves another has fulfilled the law. The commandments, “You shall not commit adultery; You shall not murder; You shall not steal; You shall not covet”; and any other commandment, are summed up in this word, “Love your neighbor as yourself.” Love does no wrong to a neighbor; therefore, love is the fulfilling of the law. Besides this, you know what time it is, how it is now the moment for you to wake from sleep. For salvation is nearer to us now than when we became believers; the night is far gone, the day is near. 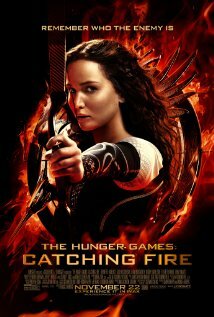 The Hunger Games: Catching Fire, recently released, is the second movie in a series based on the three novels written by Suzanne Collins. 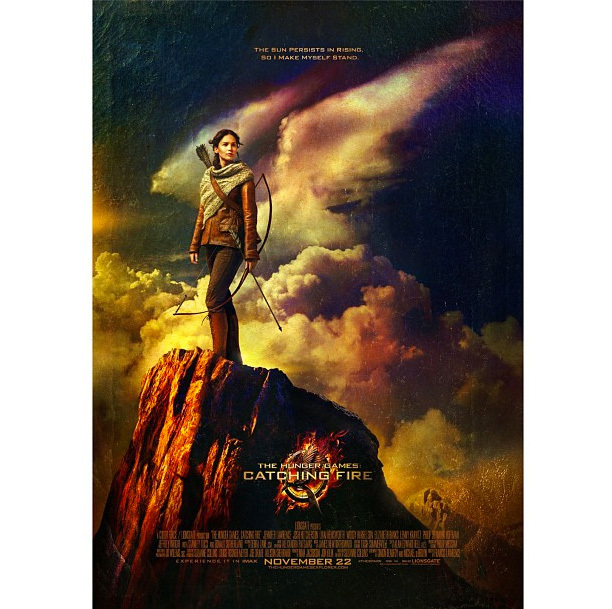 The story of the hunger games focuses on selected people from various districts who are called tributes. They must fight to the death in order to provide food for the people of their particular district. For 75 years, the oppressive, wealthy Capital has staged the games. But in the previous games, Katniss Everdeen (played by Jennifer Lawrence) and Peeta Mellark (played by Josh Hutcherson) won as a couple. Thus, they became victors—heroes for the oppressed people of the districts. But they are soon forced to obey the demands of the Capital’s leader, President Snow (played by Donald Sutherland) and compete to the death once again. Why? Because Katniss’ bravery and stubborn defiance have made her a symbol of hope for the people. Primrose Everdeen: Since the last games, something is different. I can see it. Katniss Everdeen: What can you see? 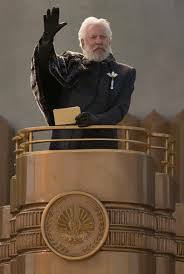 It is this hope that has been the spark for a rebellion by the people of the districts against the oppressive rule of the Capital and President Snow. Sensing this, Snow puts an awful plan in motion to destroy Katniss and Peeta and to crush the hopes of the 12 districts. Of course, the Hunger Games draws out some very appropriate and timely themes for us today. For certain, we live in a world in which there are millions of people who suffer needlessly without enough to eat, in unsafe conditions, and forced to compete against each other. The strongest theme in this particular movie for me happens to be the use of fear to control people and the ability of hope to change the game. That is what we will explore. Throughout this season of Advent, I will be asking questions and encouraging you to ask them, too. So what questions do we have about hope? 1. What did Jesus have to say about hope? 2. How can we hold onto hope when our life doesn’t seem to be filled with much hope? How do we know there is light at the end of “our” tunnel? 3. And my question: what IS hope? Since I am the one talking, I get to start with my question. -a feeling of expectation and desire for a certain thing to happen. -[verb] to want something to happen or be the case. But honestly, a dictionary definition is not really adequate, because hope as a concept has developed over thousands of years, throughout cultures around the world. Psychologists who study human emotion state that hope is an emotive response to circumstances that are pretty terrible. Hope can result when people are unsure about the future or are currently experiencing a tough time. Something happens in a person’s brain—he/she can open up to a new reality and remove the mask of fear and despair. This mental image of hope allows a person to see the big picture and helps creativity grow. But hope, say psychologists, is actually quite different from positive thinking. Being positive is a therapeutic and systematic process used to reverse pessimism. But it can often lead to a “false hope” in a fantasy or an outcome that is highly unlikely. On the other hand, hope is cultivated when people have a goal in mind, determination that the goal can be reached, and a plan as to how to achieve the goal. In other words, hope is more than just a positive, mental image. Hope is thinking that turns into action. Hope is imagining a better tomorrow when today is terrible. Hope is taking the small steps necessary towards that tomorrow. But what does the Bible say about hope? A lot, actually, but we do not have the time to explore all of it. So let’s start with Isaiah, from the Hebrew Scriptures. In the Biblical literature, hope is about expecting or anticipating. Isaiah is part of what we call prophetic literature. Everything you read in Isaiah is symbolic and not literal. In this second chapter of the prophet’s book, we are told that Isaiah saw the words. How does one see words? The Hebrew language helps us here. “See” means “envision.” Right away, the words on a scroll or on a page jump out at us. They are alive; they don’t stay on the paper. They are envisioned. Seen. Alive. Isaiah challenges the people to walk in Yahweh’s light. They are to reject war and turn to ways of peace. This was shalom. Shalom is wholeness. Shalom is a vision of balance, justice, and unity. But this shalom is not realized yet. This is important to understand because Isaiah was not a prophet who lived in some fantasy world. He saw the extreme poverty, oppression, and injustice in the world. That was reality. Suffering was reality. Isaiah was a realist. Hope was not false or merely a once-a-year, Christmasy kind of hope. The world of Isaiah’s time and the world of our time was and indeed is screwed up—out of balance. So to have hope seems absurd. At least, it seems absurd if it is just a good idea or a feeling. Hope without action would have been absurd. But Isaiah’s hope is a calling out to the people for change, for them to help, to heal, to bring justice, to find balance in themselves and then to bring balance to others. Prophetic books like Isaiah do not tell us about a current reality, but rather, challenge us to start building an unseen reality. Build hope where there is despair. When the night is long, scary, and full of despair, can you imagine the dawn? I hear Katniss Everdeen: The sun persists in rising, so I make myself stand. And so I return to one of the questions asked about hope. How can we hold onto hope when our life doesn’t seem to be filled with much hope? For each person, it will be different. The absence of hope, for many is fear; despair; hopelessness. So what is causing those feelings in your life? Identify the sources of fear and despair. And at the same time, identify a path that you may take to overcome fear and leave despair behind you. What steps can you take today? Tomorrow? Next week? In short, we won’t hope without hopeful thinking turning into hopeful action. I can think positively and pray all I want, but if my prayers and thoughts don’t move me to positive action—I’m stuck in my fear and despair. This kind of progress in the midst of difficulty is not easy, for sure. But hope that is more than thinking is a spark that can set a fire. And a very appropriate question during Advent: What did Jesus have to say about hope? Actually, nothing. At least not specifically. Jesus of Nazareth never mentioned the word or concept of hope. But he did talk a lot about fear. There are a myriad of Gospel passages attributed to Jesus that mention fear. And in each case, Jesus of Nazareth tells people: do not fear. Why? Because when we fear, we have way too much trouble envisioning a new day. When we are paralyzed by fear, we stop thinking wisely and certainly stop moving. When fear dominates, we stop loving and accepting people as they are. So it should come as no surprise to us that Jesus’ most famous words are echoed by Paul in the letter to Rome. And what else could be more appropriate for us to hear during Advent season [and every season of the year]? Owe no one anything, except to love one another. In fact, wake up your neighbor from his/her sleep. Wake up the world. For the dawn is near. Hope is real—if we live it. Do more than imagine hope. Forge a path for it in your life. Freedom in the New Life!